MEPs are making a comeback. It is hard to not talk about MEPs, in fact. they are easy to sell. And sales, my friends, is what drives this industry. So why are they easy to sell? 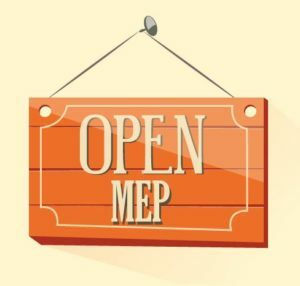 I coined the phrase ‘Open MEP’ a long time ago as a way to better understand that elusive concept of ‘unrelated employers,’ but we’ll get to that one. 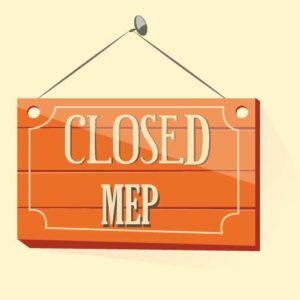 Open or Closed, a MEP is a MEP. MEPs can be flexible with plan design features, or they can be locked down with virtually every employer plan looking the same; in this, they are no different from their Single Employer Plan, ‘SEP,’ counterparts. My company approached the DOL in 2012 for clarity on the Plan Sponsor role in our MEP model (the Open MEP); their resulting Advisory Opinion shut down the success MEPs were enjoying industry-wide. The DOL’s opinion (AO 2012-04A) emphasized a two-part test of commonality and control for a plan to qualify as a MEP. As a longstanding tradition, the DOL did not view MEPs favorably, as they were close (but not related) in nature to MEWAs. MEWAs are not the subject of this, but a casual google search will show you why the DOL does not like them; connecting them to MEPs, however, was as inaccurate as it was overreaching. The commonality is not a requirement for MEPs. I’m jumping ahead, but this one is a touchy subject. You see, 413(c) is the section of the code relating to MEPs, and it spells it out this way: a MEP under 413(c) can only be maintained by unrelated employers. The Advisory Opinion, however, went a new direction on MEPs by stating that commonality, or, related plans, was the requirement. Today, there are two models in the marketplace. The MEP (as it has always been) and a Prototype Model. One for related employers (per the current DOL’s interpretation) and one for unrelated employers. Let’s touch on the solution for unrelated employers. The Prototype model is the only solution out there, and it is marketed under a few different names: aggregation model, exchange model, and [gasp!] even as an Open MEP. I see a lot of confusion about hiring an outside 3(16) provider and calling it the same thing— this topic comes up a good bit. I am not sure how many 3(16) providers you’re working with today (or have interviewed in the past), but you’ll no doubt see how far ranging are their service models. Additionally, they are detached; unlike a 3(38), a 3(16) needs to have real-time access to RK data— the ‘drop box’ model works, but is only slightly better than doing it yourself as a Plan Sponsor. People are/were attracted to the Open MEP because of the ‘do-it-for-me’ model; add-on 3(16) providers do not do this. That is the difference between a Prototype build versus an add-on 3(16)— done correctly; the Prototype model offers that same ‘surrogate employer’ benefit to a Plan Sponsor. The Prototype/Aggregation/Exchange/Open MEP models are virtually the same. This is important. So let’s talk about how best to use these two structures. It is easy to be a fan of MEPs, as they offer unparalleled pricing and administrative efficiency. But more often than not, the Prototype model is a better fit. Let’s go over a couple of scenarios. Company A has 150 employees. Company B has 20 employees. Should they both go into a MEP? There are a lot of people that never think to ask that question. If the MEP and Prototype offer the same pricing, administrative, and risk mitigation solution, why would Company B want to pay extra for an audit that they would otherwise not be required to have? It is shocking how many MEPs were set up in the past ten years that are comprised of dozens of ‘company B’ sized plans; together, they have an audit requirement that alone would never have applied to them. So there one really simple answer: a large plan filer that has to have an audit anyway is going to see a clear advantage of a MEP.